Ergonomics in the workplace has become a major trend during the past few years. According to the U.S. Occupational Safety and Health Administration (OSHA), ergonomics “is the science of fitting workplace conditions and job demands to the capabilities of human needs”. Ergonomic office furniture has many benefits including health, safety, and productivity. This style of furniture can have improvements that include increased productivity, decreased absenteeism, improved employee retention, improved health and safety and increased job satisfaction. This boom has helped OMT-Veyhl USA grow their business from eight employees in 2005 to about 300 employees in 2016. OMT-Veyhl USA manufactures adjustable office furniture, manufacturing workspace stations, and conveyors to fit the ergonomic workplace trend. OMT-Veyhl is the merger of OMT located in Northern Germany, and Veyhl in Southern Germany. OMT-Veyhl USA’s Corporate Headquarters is in Holland, Michigan. “We have grown exponentially just in the past year (2015)” says Dan Shaw, the Vice President of Operations at OMT-Veyhl USA. 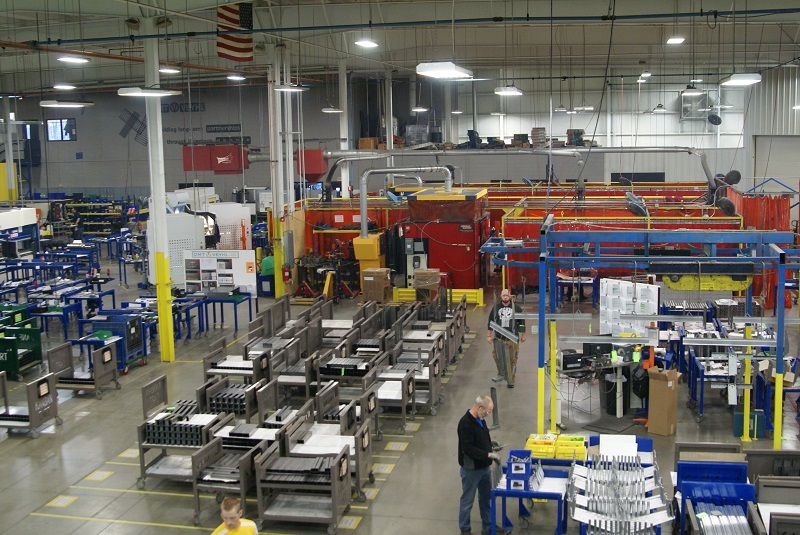 With OMT-Veyhl USA’s rapid growth increase, they were in need of new equipment. OMT-Veyhl USA had a CO2 laser that wasn’t keeping up with production needs. Shaw already had an equipment dealer CNC Fabrication Resource based out of Greenville, Michigan, who got Shaw in contact with Mazak Optonics Corp. After meeting with Troy Aldridge, Regional Sales Manager, Shaw was invited to see Mazak Optonics Corporation in Japan. 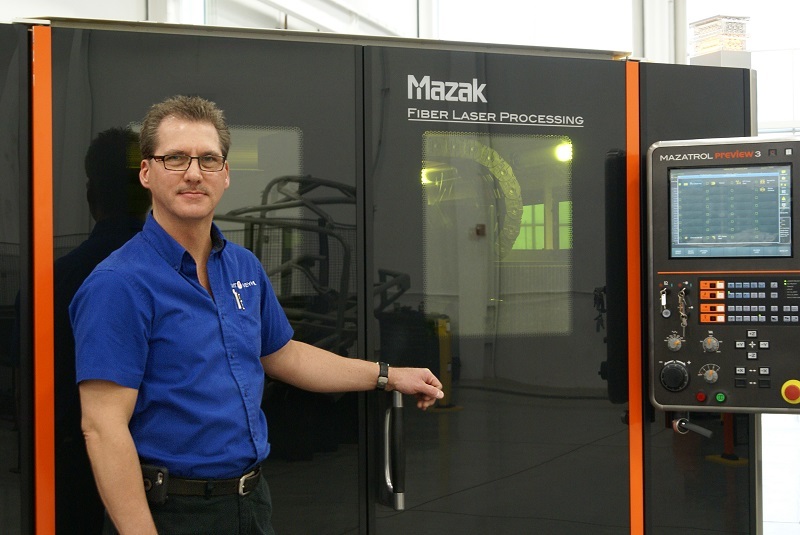 With Mazak Optonics Corp.’s manufacturing efficiency, Shaw saw this as a great learning experience, as well as being able to see if a Mazak laser was the right fit. In a cherry blossom blooming spring 2014, Shaw visited Mazak Optonics Corporation’s Underground Factory located in Minokamo, Japan. The Optonics Underground Factory is the first Eco-Factory built below ground for the manufacture of machine tools. 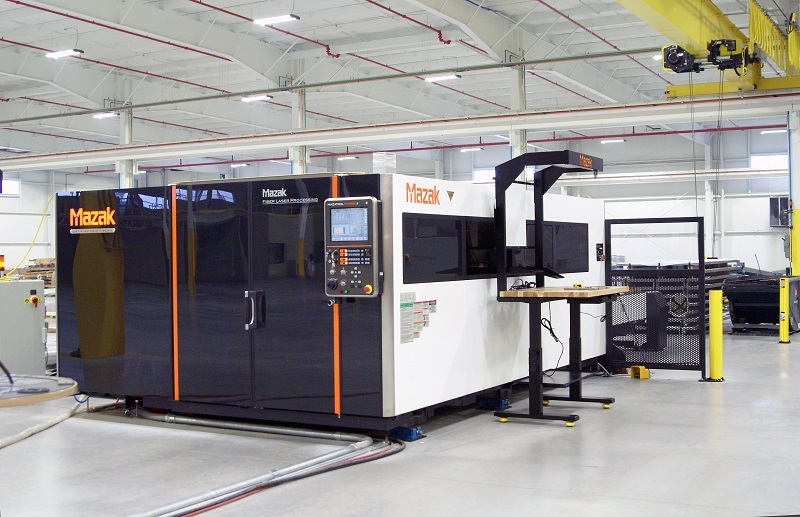 The 293,000 square foot facility is located 36 feet below ground and is solely dedicated to the production of Mazak's high-speed, precision laser-cutting machines. Shaw was not yet a customer of Mazak Optonics, when he was introduced to Tom Yamazaki, the President of Mazak as well as many other top level executives. “What stood out was that I was not yet a customer but everyone treated me respectfully and appreciated me”, says Shaw. At the Underground Factory, Mazak has a short, 10 minute meeting to discuss how to improve. “The fact that a company of that magnitude is constantly working to improve and takes those 10 minutes to talk about it, really resonated with me. This just shows that they are always working to improve. It is the opposite of arrogance. It really shows how world-class Mazak is.” says Shaw. When OMT-Veyhl USA was a small company in 2005, the team was participating in a team building exercise where Shaw learned about the quality of his team. Shaw explained, “They wanted to know more about what was going on inside the building”. OMT-Veyhl USA has over 100 visits on an annual basis. Shaw stated, “They wanted to know about who is coming into their building, so they could be part of their solution, not the problem”. After returning from Japan, Shaw implemented a companywide announcement to his employees about who is visiting their facility. Shaw explains, “This is so we all can be a part of the process and show, these potential customers that we value customer service and we appreciate them”. Since returning from Japan, OMT-Veyhl USA has implemented twice weekly meetings. These meetings are every Tuesday and Thursday and are used to discuss ways to improve the company. Shaw stated, “By adding the twice per week meetings everyone sees that we are working to improve and be world-class. Investing in the new technology and capital equipment has shown our employees that our company is growing and we are improving very fast. Everyone wants to work for a company that is working to improve themselves and offer so many opportunities because of growth”. 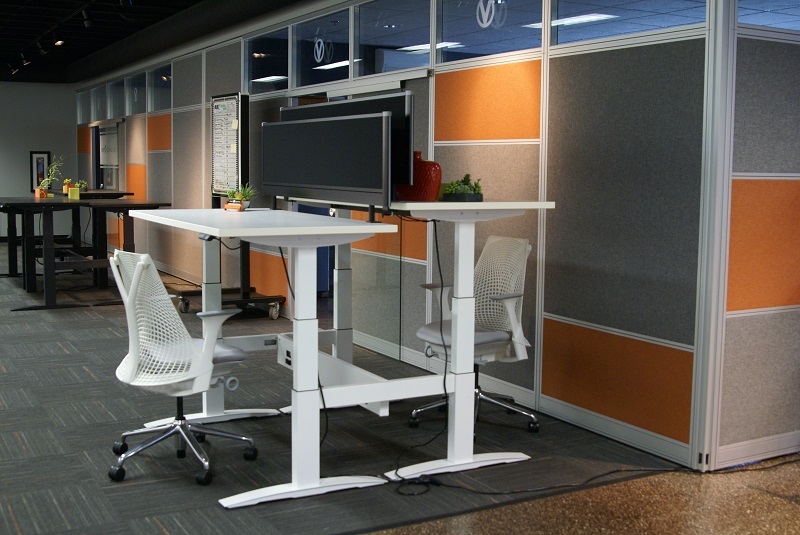 Because OMT-Veyhl USA creates furniture and workspace equipment that works with people’s efficiency in their working environment, they also strive to work as efficiently as they can. OMT- Veyhl USA also implemented suggestion boards that allow anyone in their company to make a suggestion on how to improve. These suggestion groups are not only the shop floor. But they are for all departments of their company from painting, logistics, the laser department and their office. 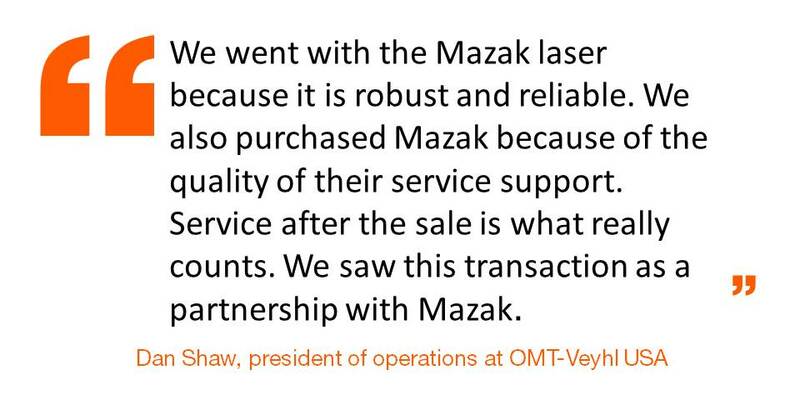 After convincing his collages and management that Mazak was the best option, OMT-Veyhl’s first Mazak laser was installed in May 2015. With a great price, warranty and training, Shaw knew they were in an ideal situation. “We wanted there to be nothing to worry about with the purchase of this laser,” stated Shaw. OMT-Veyhl USA now has two OPTIPLEX 3015 Fiber machines that have improve their company by reductions in electrical usage, reductions in maintenance services, and increased speed of cutting products which created higher throughput. “We went with the Mazak laser because it is robust and reliable. We also purchased Mazak because of the quality of their service support. Service after the sale is what really counts. We saw this transaction as a partnership with Mazak,” says Shaw. Implementing the Mazak lasers has been successful for OMT-Veyhl USA. The training at the North American Headquarters in Elgin, Illinois was in-depth and through so Shaw’s team was ready to run. “We have people operating these machines that never knew how to run lasers before,” says Shaw. Mazak’s OPTIPLEX 3015 Fiber features the Preview 3 control that uses a straightforward user interface to simplify machine operations, making it easier for people to operate these lasers. The OPTIPLEX Fiber also incorporates, Mazak’s standard Intelligent Functions which automates setup and monitors piercing and cutting operations to improve cut speeds, increase throughput and all while requiring less operator intervention. The two OPTIPLEX 3015 Fiber machines recently have been moved to the new part of OMT-Veyhl USA’s facility. They were added to their own production line which incorporates a new powder coating system that paints at 18ft per minute. These machines are a part of the high volume production at OMT-Veyhl USA due to their higher throughput. Mat Ardell, OMT-Veyhl USA’s Manufacturing Engineering Supervisor, stated, “All of our capital equipment gives more career opportunities to our employees and they get excited when the new machines came in”. Ardell also explained how the new Mazak lasers have improved their internal operations, “We are now able to modify our scheduling processes. The Mazaks have helped increase our capacities and capabilities”. In addition, OMT-Veyhl USA has been able to reduce lead time to meet customer demands. The most evident and essential improvement for OMT-Veyhl USA was the increase in throughput which has allowed them to create more products quicker. OMT-Veyhl USA has experienced serious growth over their time in North America. Implementing Mazak Optonics laser and customer services has helped to propel OMT-Veyhl forward to a bright and successful future of embodying world-class. Article seen in the May issue of Shop Floor Lasers.